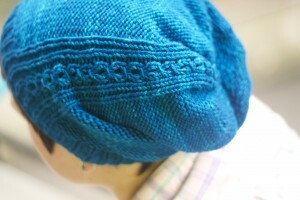 My favorite gal, Jane Richmond was at Urban Yarns on Friday night and I missed it! I heard it was a lot of fun and of course her new book ISLAND is amazing. I had the good fortune to pick one up at Knit City a few months ago so I have been knitting away, I might even knit one of everything! So although I’m terribly biased I thought I would offer a book review. ISLAND starts off with pages upon pages of stunning photos. I’m not sure if I find them all the more stunning because they are of Vancouver Island, a place I love very much. Jane’s brother is her photographer and the way she tells it she just handed over the samples and said: go nuts. Well it’s a strategy that paid off because all the photos are amazing. Giant cedar trees, beautiful beaches, farms, and fields, all the scenery (as well as the knits of course) are inspiring. Jane says she created this book to put a little more of herself in the pages and I love that. The second part of the book is the technical stuff. 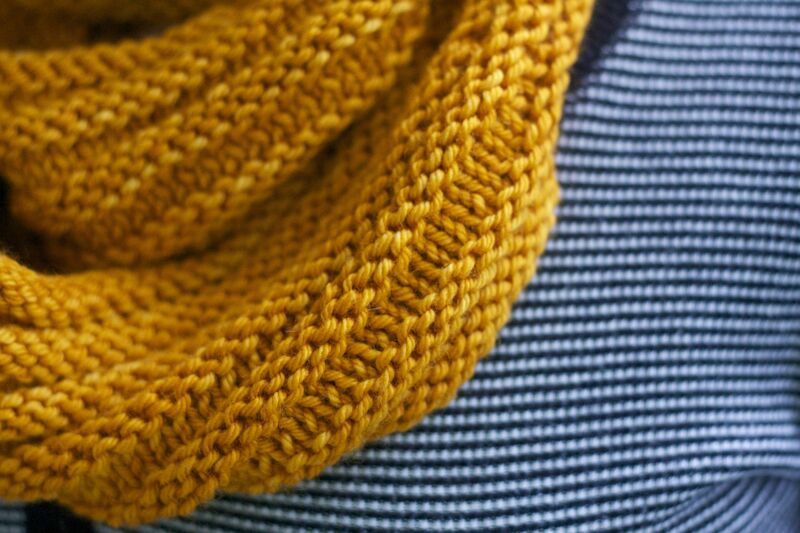 How to knit the items you have just been drooling over. 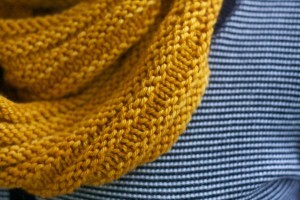 I have already knit the Renfrew hat and the Arbutus Cowl (a marvel of knitting construction) and I have loved them both. The ingenious thing about the Refrew hat is that it appears to have a ton of purling, something not many are fond of, but it doesn’t! It’s knit INSIDE OUT so you are mostly knitting, then, voila! Lovely textured hat. The Arbutus is shaped with short rows (don’t be afraid, they just take a little practice), to give it a fuller look in the front without too much bulk in the back. Very smart Ms. Richmond! 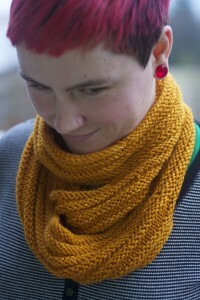 One skein of Tosh DK is all it takes to make an Arbutus of your own. If your new year’s resolution is to learn something new short rows are really great. If you need help 1/2 hour lesson with Amanda will set you right. Thanks for creating such an inspiring book Jane! This entry was posted on Tuesday, January 29th, 2013 at 11:45 am	and is filed under Uncategorized. You can follow any responses to this entry through the RSS 2.0 feed. Both comments and pings are currently closed.